When employees are sick, productivity levels go way down and your business suffers because of it. Promoting wellness is an investment in keeping your team fully staffed — and, as a bonus, when employees feel you care about their health, this improves morale. 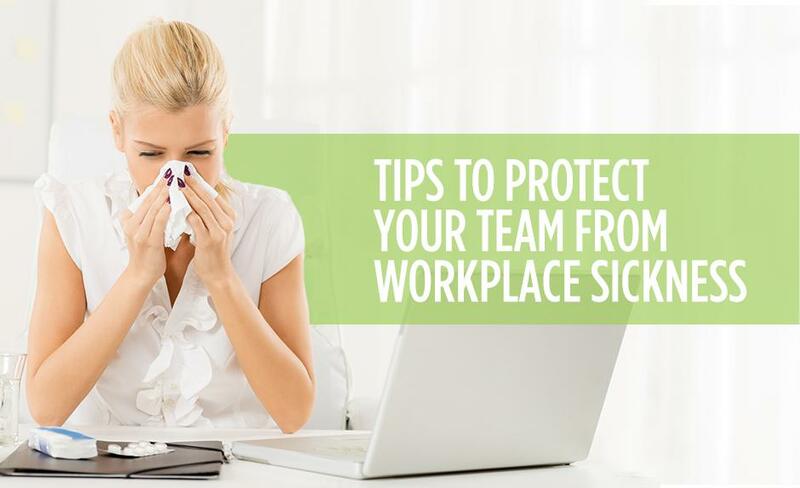 So, how can you protect your team from sickness and promote good health? Maintain a safe work environment: It’s vitally important that your company not do anything to expose workers to toxins or chemicals that could make them sick. Follow best practices from OSHA for maintaining a work environment that is not dangerous for workers, and make sure you provide notice to workers of any chemicals or substances that could possibly put them at risk. Discourage employees from coming to work if they are ill: You do not want one employee to start an epidemic among your entire staff. Have a sick leave policy and encourage employees to stay home and recover if they are feeling ill. They won’t be productive if they come to work sick anyway, and they will just create a risk of spreading their condition to other staff members. Create a culture of wellness: Your company should emphasize safety and prevention. This could mean offering or encouraging flu shots and vaccines, and it could mean operating programs that provide information on safety in the workplace and at home. Provide resources to fight germs at work: Make tools available to workers that will allow them to reduce the chances of spreading sickness at work. Tissues and hand sanitizer should be readily accessible. Offices and common areas should be kept clean and products should be available to staff members to sanitize work spaces. If you offer snacks in shared common areas, make sure they are wrapped and sealed to reduce the risk of infection spreading. Your company also needs to hire employees who take safety seriously. Eastridge Workforce Solutions can help you find staff members who will follow best practices for maintaining a safe work environment. You can give us a call today to find out how our staffing professionals can help you hire great people for your team who will have a commitment to promoting health and safety in the workplace.